You can Register Green online here right now. Registering Green is a way of 'voting' for your values. Join a party which stands for your values, instead of one that is the 'lesser of evils' . Registering Green makes a clear and effective political statement. The more people who register Green, the stronger the Green Party will be, and the more all parties will take green issues and green voters seriously. 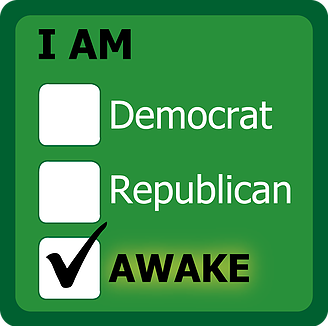 Registering Green helps the Green Party retain ballot access. Through the latest statewide count in February 2017, aproximately 94,000 California voters are registered Green. Registering Green does not limit your voting options in the primary or general election for local, state or congressional office. Since you can vote for any candidate, choosing a party is really about what you believe in. Videos - Why Register Green? You can Register Green online here right now. Voter registration forms are also located at US Post Offices, Department of Motor Vehicles and many other governmental offices. Check with the California Secretary of State's office or other governmental office for the place nearest you. To have a voter registration form mailed to you, call 1-800-345-VOTE. Para hablar en Español, llame a 1-800-232-VOTA. Voter registration forms are also available in Chinese, Vietnamese, Tagalog, Japanese, and Korean.